Welcome to a list of my favorite products and books. Come back often as I’ll be updating this page regularly. The yoga book reviews are listed in chronological order as to when I reviewed them, but some books have been on my bookshelves for years. 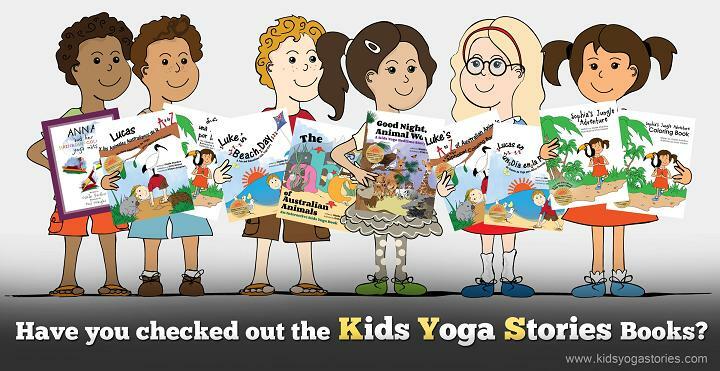 These products reflect my passion in kids yoga, global education, travel, and mindfulness. If you have any recommended books within these themes, please email me. I’d love to hear from you! My daughter was instantly captivated by the enchanting world of the Kindness Elves and has been asking for this book every night at bedtime. She now believes that the elves live in the clouds, and she’s anxiously awaiting her letters from them! I love that this kindness book engages the imagination and presents real-world examples of random acts of kindness. The illustrations are truly delightful. This story acts as a springboard to talking about fun ways to incorporate kindness into our everyday lives. 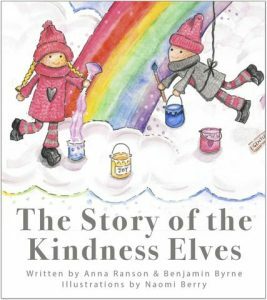 I highly recommend jumping into the magical world of the Kindness Elves! 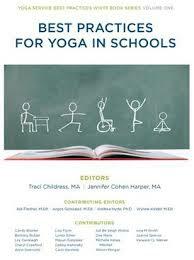 This comprehensive academic text is a must-have resource for anyone wanting to introduce yoga in the classroom. The author integrates her thirty-five years of experience with current research to demonstrate the lifelong benefits of yoga and mindfulness. The book takes a deep dive into WHY yoga practices have a profound effect on students’ wellness and performance in school. Then the text details the tested and proven classroom yoga model that’s been practiced in schools for decades. As a former primary school teacher, a mom, and a yogi practitioner, I highly recommend this invaluable resource. It’ll inspire and inform you for years to come! Reading this wonderful book reminded me of sitting in front of the fire, sipping a hot cup of tea. It’s a soulful and nurturing book to read slowly, letting the gems of wisdom float over you. Every time I open this book, I’m inspired by the perfect words of advice to help guide me in my parenting journey. Shakta shares her years of training and experience as a Montessori teacher, kids yoga teacher, and parent in a way that’s accessible and practical, while being full of love and compassion. I loved how the book also provides a glimpse of the philosophy behind Radiant Child Yoga, which has inspired me to learn more about their training and courses. I also loved the meditation exercises throughout the chapters. I highly recommend this book! I absolutely love Carla’s writing style—her sense of humor and light-hearted approach to mindfulness is captivating and inspiring. Her personal stories of being a mom coupled with her training as a clinical social worker is a powerful combination. 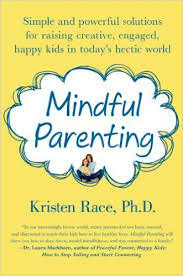 The easy-to-read book is packed with practical ideas and real solutions for integrating mindfulness into your family life. 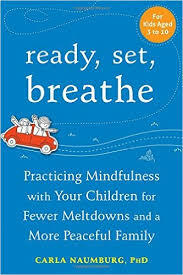 I love that the author emphasizes that we must start with our own mindfulness practice before introducing the techniques to our children. This is a book that I’ll refer to time and time again throughout my parenting journey. The list of resources at the back of the book is super handy, as well. I loved this book, and I’m sure you will, too! This one is yet another gem from Carolyn Clarke. 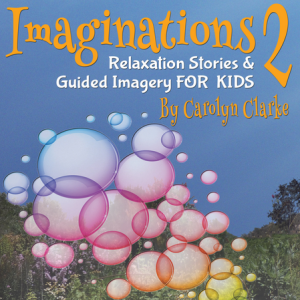 I especially love the fun topics of these relaxation stories: superheroes, unicorns, a moonbeam blanket, a flying carpet ride to India, and a tour of the Earth. This beautiful book is packed with eighteen easy-to-read, engaging guided meditations for school-aged children. 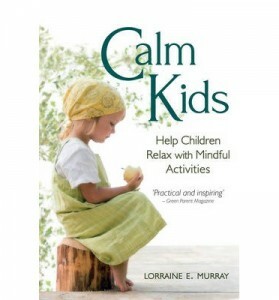 This book is such a fabulous resource to teach children how to calm their minds and bodies so they are better able to deal with the stresses of their busy lives. 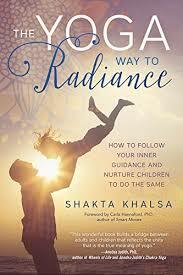 I highly recommend this book to teachers, parents, yoga teachers, and health practitioners! To be honest, I picked this book up a year ago when my daughter was three years old, and she rejected it after the first page. Lately, we have been working on creating a “happy bedtime ritual” as she has become even more emotionally charged and angry at bedtime. Last night, I picked up ,Anh’s Anger, and it was absolutely perfect timing. The story describes how a boy gets angry when his grandfather asks him to get ready for dinner (exactly what we have been experiencing at home). The grandfather asks the boy to go to his room to sit with his anger. 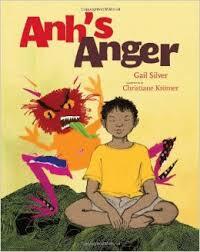 The boy then imagines his anger as a character, and uses his in-breath and out-breath to calm himself down. My daughter was immersed in the story, and this book will be a perfect springboard to helping her calm her body when she’s angry. The illustrations are stunning, as well. A great book! What a gem! This book is such a gift from this bestselling author-illustrator team of Susan Verde and Peter Reynolds. They do a beautiful job of encouraging self-expression, imagination, and creativity for children who are new to yoga. 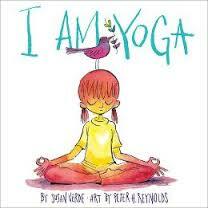 I highly recommend this simple yet transformative kids yoga book! I love this book! It is especially perfect for people looking for a practical, research-based book. I love how the mindfulness ideas are broken down into specific age groups (ex. ages 0-5, 10-13, and 13-18). The book is divided into two parts. First, it outlines informal mindfulness, including ways to create a healthy environment—getting good sleep, taking time to relax, and leading a simple lifestyle. Then it details formal mindful practices, like meditation practice, family rituals, family dinner, and no-scheduled days. I also love how the author describes a study of parents who have transformed their experience of parenting by meditating daily for a year (which I can attest to!). I highly recommend this book. 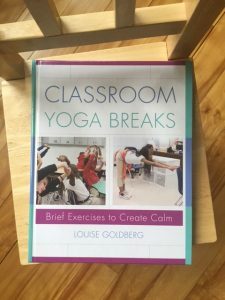 This white book changes the landscape of yoga in schools. As a collaboration of the leaders in the field, this comprehensive resource book acts as a guide for teachers, parents, and yoga teachers who are introducing yoga and mindfulness to children in schools. As a former primary school teacher, I can appreciate the value of communicating the expectations of our education system while navigating its regulations to ensure that we provide the best possible care and education to all children. These are exciting times as the extraordinary benefits of yoga are being integrated into our school system. We came across this little gem at the library. 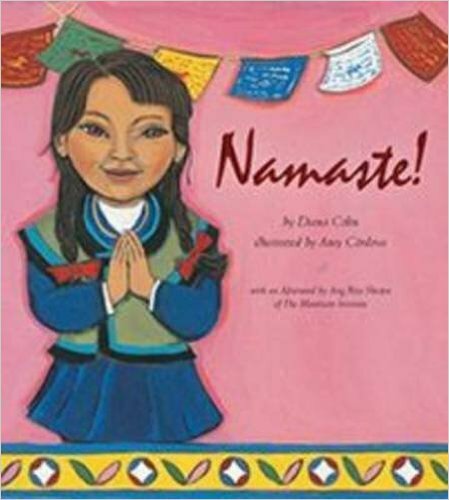 What a sweet way for children to learn about the meaning of “Namaste,” while also learning about the beautiful country of Nepal. The bright and colorful illustrations captivated my daughter. We both thoroughly enjoyed this book! Amy Wright Glenn integrates her meditation practice into her life and work as a mom, doula, yoga teacher, philosopher, and chaplain, and this collection of essays dives deep into her life of service to both those at the beginning of their lives and those at the end of their lives. 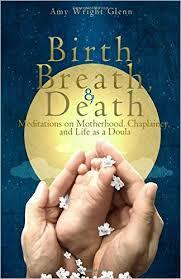 This fascinating read made me ponder the most significant thing that weaves together birth, life, and death: the breath. 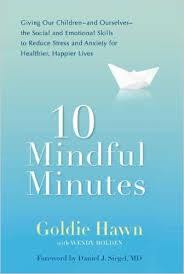 This inspiring book makes the foundational concepts of Goldie Hawn’s MindUP program accessible to parents and applicable to everyday life. Goldie Hawn weaves in her own parenting experiences into several practical mindfulness techniques that you can start with your child today. With her work firmly grounded in mindfulness research, she offers parents a way to connect with their children to ultimately raise happy, healthy adults. The foreword by Daniel Siegel and multiple references to other brain scientists inspire confidence that mindfulness is not just a passing fad. I love that this book is an easy-to-use guide for introducing mindfulness to my daughter. I just finished reading this gem of a book from cover-to-cover, and I wish this book had been around when I was teaching primary school. As an expat mom with a tri-cultural child, I was attracted to the book’s message. Raising my daughter to be a global citizen is extremely important to me, and I aim to supplement her school experiences at home to deeper her global education. This global toolkit is a one-stop shop with plenty of resources. From planning a World’s Fair to incorporating multicultural food and Skyping friends across the globe, I’m excited to plan out some fun global activities this coming school year. The chapter on technology tools is extremely relevant for our techie kids. And I especially loved the section on charitable giving ideas, with several real examples of kids’ projects. This book is inspiring, comprehensive, and well-written. Presented by two experts in the field, it’s not surprising that this book will lead us into the future of global education. 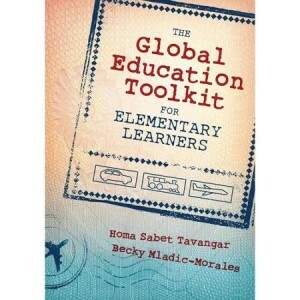 I highly recommend this book to parents and teachers who are interested in raising responsible global citizens. Just a note: I bought the hard copy, but I would also recommend purchasing the Kindle version to have access to the plethora of links throughout the book. 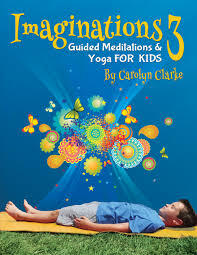 This is an accessible and comprehensive book on meditation for children. It includes the definition of meditation, the benefits of meditation, how to create an environment for meditation, the different types of meditation, tips on teaching meditation to children, and how to practice meditation with children who have special needs. The specific meditation techniques for different age groups are particularly useful, especially when working with very young children. As parents and caregivers, we can model mindfulness practices with children from birth. I highly recommend this resource! I first read Thich Nhat Hanh’s inspiring and uplifting Peace Is Every Step years ago when I was traveling in Vietnam and visited a Buddhist temple. 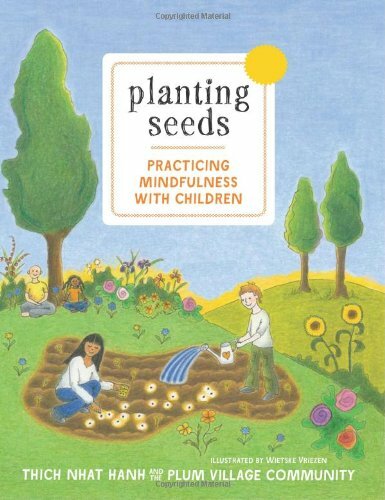 Now, as a parent, I find Planting Seeds an invaluable resource for bringing mindfulness into our daily family life. 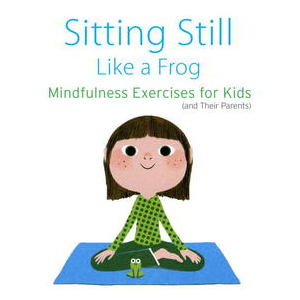 Through mindfulness practices, stories from their community, questions and answers, cut-out resources, and a guided meditations CD, this book is a must-read for parents and teachers wanting to integrate mindfulness into their homes and classrooms. It’s perfect for filling with Post-it notes so you can come back to it time and time again. Another resource by Thich Nhat Hanh, A Handful of Quiet, is a mini-book that further details his four-pebble meditation technique. This mini-book is perfect for reading with a cup of tea while curled up on the couch. The book has so many delightful gems with practical ideas on how to parent mindfully, all illustrated by the author’s experiences with her own children. I love her approach of encouraging parents to adapt mindfulness techniques into our lives first, and then we can help our children to experience mindfulness techniques, as well, to help them deal with anxiety, improve concentration, and handle difficult emotions. The guided exercises spoken on the accompanying CD also aids in integrating these mindfulness practices into family life. If you liked the first Imaginations book, then you definitely will love this one too! Not only will you find another seventeen gorgeous relaxation stories, but the layout of this book is stunning. I love the separate parent and child introductions at the front of the book. Also, the yoga prep poses and breathing games are a great resource. My favorite relaxation stories are each of the four seasons. The author has also included lots of fun themes that will easily integrate into your curriculum, such as garden, weather, butterflies, desert, and dinosaurs. 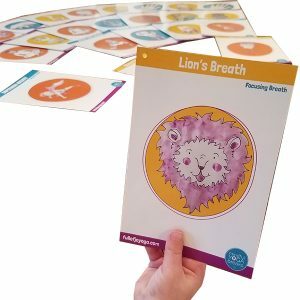 You’ll love this fabulous guided imagery resource to help children bring calm to their busy lives! 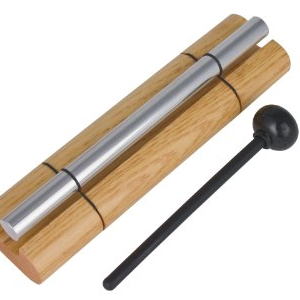 I just bought this chime to use with my 3-year-old daughter before bedtime. She loves to make her three chime sounds, and it’s a great way to mark the time to go to bed. The sound is delightful and fills her room with peace and calm. We are big fans of this chime! Perfect size for little fingers too. 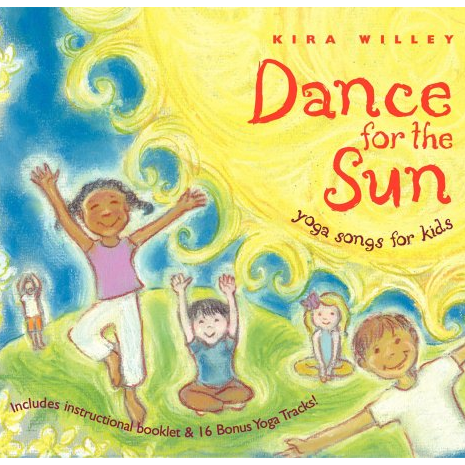 My daughter loves Kira Willey’s Dance for the Sun CD. We took it to a cabin this summer on a family holiday. Everyone joined in singing along and doing the yoga poses. The first song on the CD, “Dance for the Sun,” takes you through a sun salute, which is a great way to start your day. It is a fabulous CD to play during the holiday season to get your family and friends moving, singing, and laughing together. Kira has a gentle, sweet, and soothing voice. The songs are great as both background music, and active singing and dancing. It’s a rare treat to find a CD that the whole family can enjoy. Her folk-pop music is fun, catchy, uplifting, and captivating. 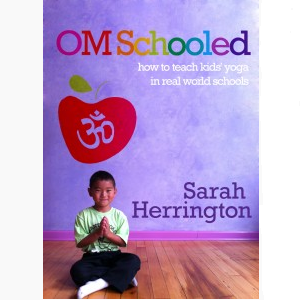 In OM Schooled, Sarah Herrington shares her experience as a kids yoga teacher working in New York City public schools. The book is full of practical information on getting started teaching yoga in schools. As a former teacher, I share Sarah’s passion for bringing the benefits of yoga to classrooms everywhere. Her book is a great resource for ideas on how to teach yoga classes and inspiration for reminding us why we do what we do for children. 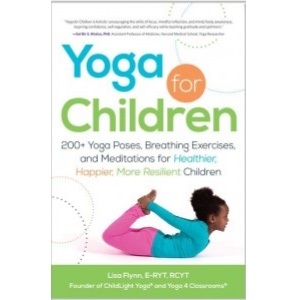 The book also talks about the benefits of yoga in schools, including empowering children, teaching them relaxation techniques, increasing their self-esteem, developing their strength and flexibility, building focus and concentration, and cooperating in teams. Once Upon a Pose is broken into three parts. Part one talks about the foundation of yoga, part two details ten yoga adventure stories, and part three shows you how to practice yoga.This is a resource book that every teacher should have on their classroom bookshelf to refer to time and time again. The yoga activities are a perfect way to enjoy the benefits of yoga while meeting your daily physical activity requirements. It’s a win-win combination. 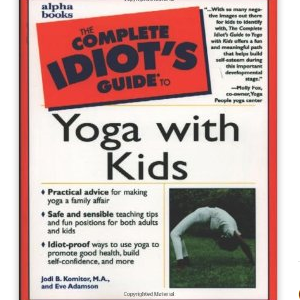 I found Jodi Komitor’s The Complete Idiot’s Guide to Yoga with Kids in Sydney, Australia, after I finished my yoga teacher training eight years ago. Even though the book, written by Jodi Komitor and Eve Adamson, was published in 2000, the content is still relevant today and will accompany you on your kids yoga journey for years. The book refers to the yoga principles, which are thousands of years old, making the book timeless. 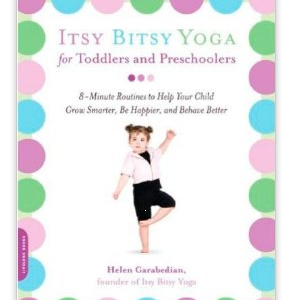 I love the book’s holistic approach to yoga, including character education, breathing techniques, physical postures, healthy lifestyles, and relaxation. And its tips for all ages make it an easy-to-read resource that you could come back to over again. Kids yoga teachers will find it especially helpful. This book offers plenty of gems for building a strong, confident foundation for introducing the benefits of yoga to your little ones. You could spend hours on the internet researching fun, creative, and hands-on learning experiences for young children. 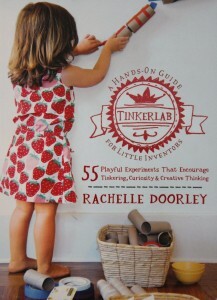 Instead, I’d much rather flip through this inspiring Tinkerlab book to find just the right activity for our afternoon art exploration. I love that the book was written by an arts educator and mom, so you know that each activity is well thought-out, has meaning, and encourages creativity in our children. For moms and teachers, this magical book is one that you’ll come back to time and time again. I love how the activities are divided into Design, Build, Concoct, and Discover sections. For a visual learner, this book is well presented with gorgeous real-life photos. A “must-have” for your parent-teacher library! Finally, a comprehensive resource with practical tips of how to introduce yoga into your everyday life. This book is a necessity for when you want to either relax and unwind, or get moving and laughing with your entire family. I LOVE it! Lauren Rubenstein is a licensed clinical psychologist who also teaches yoga and mindfulness to children and adolescents. We first connected last year through her admirable work with Go Give Yoga (we donated a few yoga stories to the organization). Lauren travels regularly to Haiti to teach yoga and mindfulness to children living in extreme poverty. All the proceeds she earns from the sales of this book for the first year will go to Go Give Yoga. Check out her mindfulness yoga class plan based on Visiting Feelings. Shelly Hehenberger’s illustrations bring this feelings book alive with color and warmth. The images were created digitally using hand-painted textures and overlays. Shelly brings her background as a professional artist into creating this magical, heartwarming, and captivating children’s book. The winning combination of Lauren’s brilliant prose and Shelly’s charming images make this book a must-have for every bookshelf. 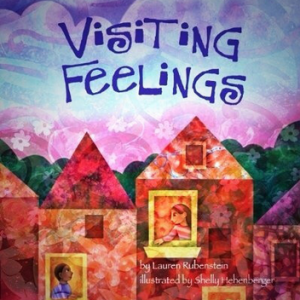 I read Visiting Feelings to my daughter before school this morning. Though she’s not quite three-years-old, she was still entranced by the images and rhyming text. Shortly after, she had a tantrum because she couldn’t have what she wanted. Once she calmed down a bit, we talked about the book and that feelings come and go. I asked how she felt and if she wanted to feel a different way. She said, “Momma, I feel happy now.” Even though this is just the beginning of character education for my daughter, this feelings book is a great start. I bought this book eight years ago when I first started writing children’s books. It was one of the only kids yoga resources available in Sydney, Australia at that time. It’s still on my bookshelf with other yoga books. It’s a timeless treasure. I love the philosophy of integrating the Multiple Intelligences and catering to the whole child, which is important to me from my teaching background. I also love the bright, colorful illustrations and clear, detailed descriptions of each pose. We just recently discovered one of YogaKids videos which our toddler loves to watch and model the yoga poses. 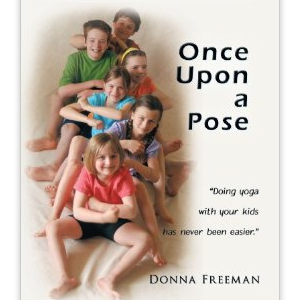 I highly recommend this book to anyone looking to teach yoga to children. We hope you enjoyed these yoga books reviews. 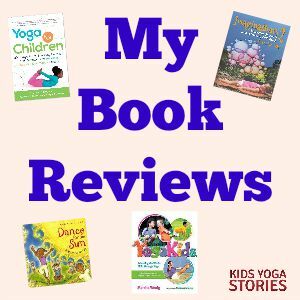 What are your favorite kids yoga books and products? For more yoga tips and kids yoga resources, sign up for our weekly Kids Yoga Stories newsletter by adding your email address to the box at the top of the page. Cassie – Review of Jenny’s Winter Walk: What a wonderful way for children to learn about winter! The pages in the book are colorful and real, yet simple enough for a child to get a full picture of each scene. The book shows the closeness of a mother and child and demonstrates how much fun they can have together. All the senses are awakened with words and actions. A child’s awareness of what is around them is opened. What a wonderful way to learn about the world God gave us. The book even focuses on the actions we can made with our bodies, bending, stretching, skipping. It’s an amazing book.